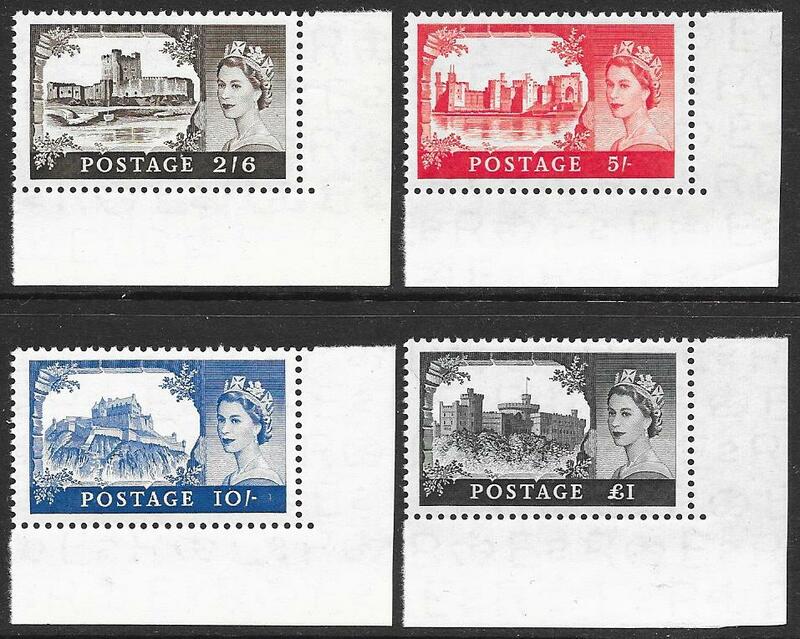 1958 (DLR), Castle High Values. SG 536a-539a. Corner marginal unmounted mint set of 4.